Home Technology Mobile iPhone SE 2 to Finally be Revealed? 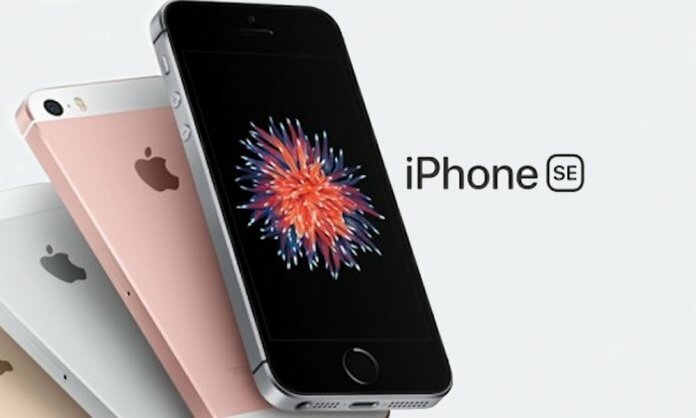 iPhone SE 2 to Finally be Revealed? Everyone around the world is eager for Apple‘s grand event which is to take place at their Headquarters in California! There are many different speculated outcomes coming from whispers about what the tech-giant may have in store for their audience, including the most awaited iPhone SE 2. The SE 2 is rumored to be a 4.5″ (11.43 cm) device with a screen resolution of 640 x 1136 pixels and runs on the iOS v10 operating system. The device is powered by Quad-core, 2.34 GHz processor paired with 2 GB of RAM. Facebook Stored Millions of Passwords as Plain Text! Given that Apple’s newer phones are a bit out of range for many individuals who are wanting to purchase an iPhone, Apple can certainly time it right and bring the popular SE variant back. The original SE was discontinued in September 2018. With a new SE phone in the market and eager fans, this might just give Apple sales a push the brand was eagerly waiting for. On the other hand, according to MacWorld, analyst Ming-Chi Kuo predicted in early 2018; along with updates to the iPhone X and a bigger version with an OLED screen (now known to be the iPhone XS and XS Max), Apple would launch a cheaper iPhone in September 2018. The XR arrived and the SE was discontinued. A typical strategy for the tech titan which we have seen it do for some time now. However, given the reports of Apple’s latest sales, it appears that the strategy is no longer doing the company well. Could a new cheaper handset be the solution? Time will tell! Samsung Galaxy S10 Users Hit by Battery Draining Bug!